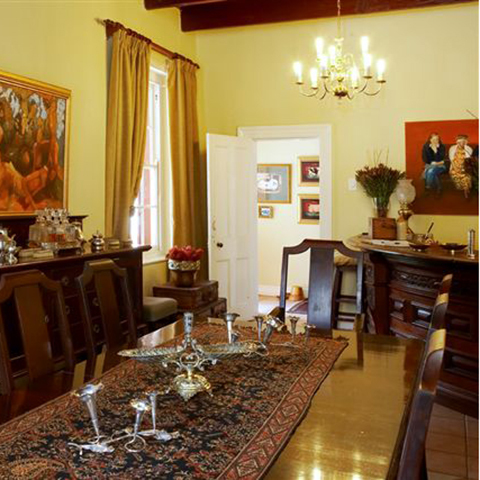 This stylish Victorian homestead at the end of historic Park Street is a peaceful haven to return to after a day exploring the majestic Cederberg mountains and various other attractions. This serene retreat only takes a maximum of ten guests and is personally run by the Jacobs family. The Ndedema hallmark, built around quality and service excellence let satisfied visitors return as friends time and again. Ndedema Lodge is the perfect place for peace and relaxation. Relax, breathe the fresh air and experience the abundant birdlife in the lush garden. Enjoy a hearty country or vegetarian breakfast in the elegant dining room or al fresco on the vine covered patio. Homemade Rooibos muffins, stewed dried fruit with rooibos syryp and a variety of different rooibos teas on offer at breakfast. Our History Johan & Wilma Jacobs purchased this fine old Victorian Lady in 2000. Renovating and refurbish this 130 year old house was done with love and dedication. Ndedema opened its doors in March 2001 and was awarded a four star rating by the Tourism Grading Council. 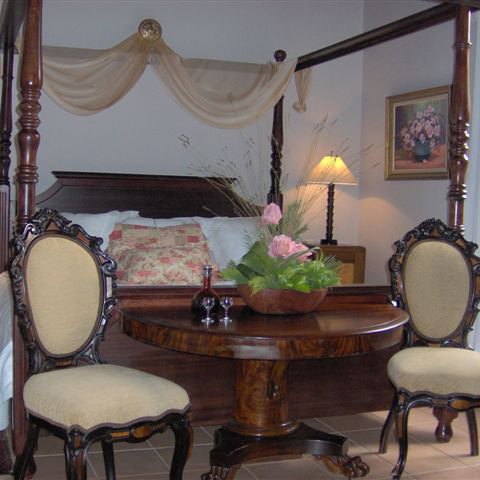 Each room is decorated with individual character and style. Attention to detail caters for the needs of the discerning traveler. Special touches and Rooibos treats like a refreshing Rooibos ice tea at arrival and various Rooibos products in the bathrooms leave guests feeling pampered and spoiled. Number of beds: • 2 double rooms with king size beds & own entrances • 1 family garden cottage with two bedrooms with twin beds sharing a full bathroom • 1 suite with two bedrooms sharing a full bathroom. • 1 x double bed & 1 x twin beds. • Own private court yard. 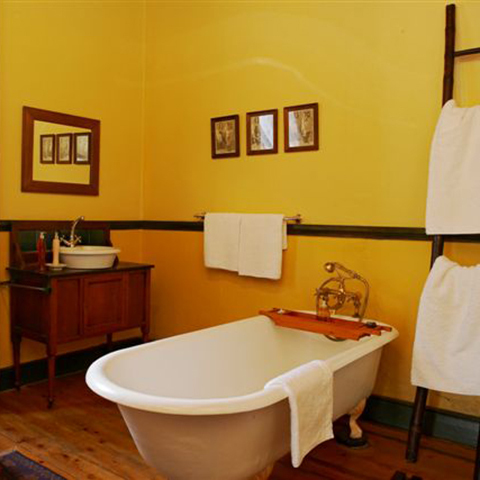 Style of accommodation: • Individual suites, elegantly decorated with antiques • Spacious bedrooms with high ceilings • Full bathrooms ,some with Victorian baths • Air- conditioning & fans, m-net, mini bars, tea trays, bath robes, white pure cotton linen and fresh flowers & Rooibos ice tea upon arrival.